Most of us started our 4-wheeled affliction with something a little smaller when we were kids. 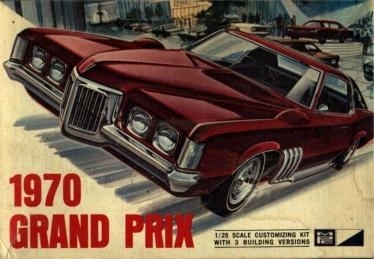 Once we graduated from Hot Wheels, I'm sure many of us turned to building 1:25 versions of our dream cars. Many of us still do! I've grabbed images of some amazing box art from the 60s and 70s to share.